Categories: A new level of effective and scalable communication within large-scale projects. Create custom categories for images in your 360° documentation. Organize your project by applying categories whenever you need them. Create filters for categories and share specific information faster. 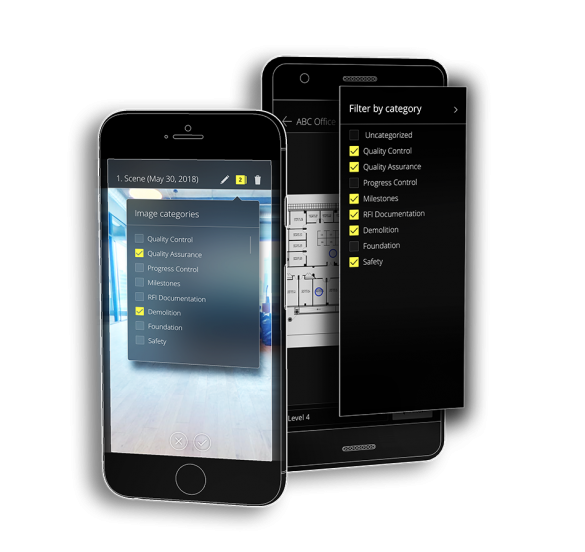 Categorization is also available within the JobWalk mobile app, allowing for an even more effective and scalable way of communication within large construction projects. Find relevant information faster by applying filters to your categories and share filtered information with your team. Create clarity with well structured categories, even with 100.000+ 360° images in one project! Apply categories to your 360° images to share a specific subset of your project pictures! You are already used to organizing your 360° images by location and time. With categories we are now adding a further level of organization. Categories enable you to organize your images by all aspects of your project only limited by your imagination. For example, add the category “Milestone” to a specific 360° image if it was part of the milestone JobWalk. Now you can filter out all other images and only see milestone images of your project. ➔ Or Safety, Quality, BIM Model, Progress, Inspection, and As-Built. "Hensel Phelps is excited to start to utilize the categorization feature within the HoloBuilder platform to help our team stay organized throughout the life cycle of the Terminal 1 Center Renovation at SFO. Our team is always looking for new innovative ways to enhance our daily processes; HoloBuilder and their user tags do just that by providing deeper context to the progress pictures harvested on site. I am eager to continue to work and innovate with the team at HoloBuilder this year." 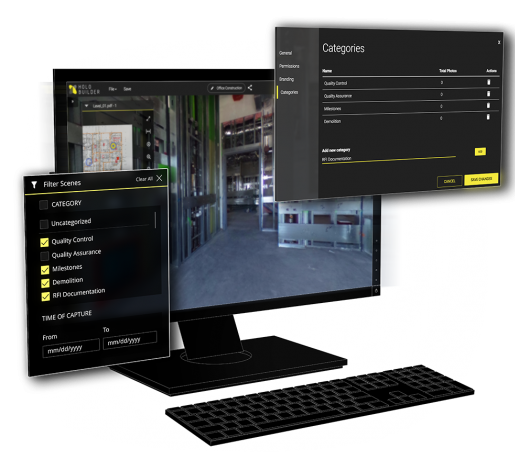 "The categorization feature from HoloBuilder has enabled my team to efficiently manage progress and quality through the photos in our large jobsite. It’s definitely a game-changer." Want to learn more and get started? If you would like to learn more about how to get started with Categories, just fill out the form and one of our construction experts will reach out to you soon. Copyright © 2019 HoloBuilder Inc.